Take a look around your job site. 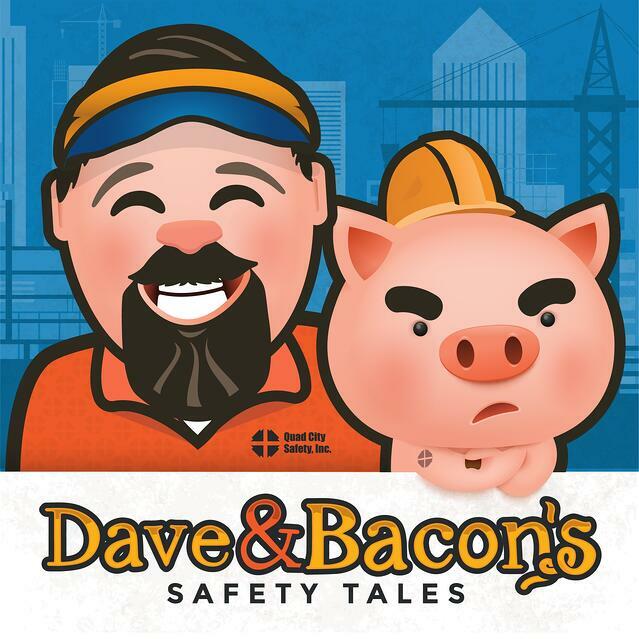 With a little luck, you’ll see men and women wearing the right personal protective equipment (PPE) they need to get the job done safely. It’s not hard to see if people are wearing their respirators, fall protection or their fire-resistant gear. You can definitely spot when someone’s not wearing their high-visibility apparel. That’s a no brainer, right? It’s tough to miss those fluorescent duds. But, what about the safety gear that tends to go unnoticed? How often do you pay attention to what workers have on their feet? Who needs the best protective footwear more than the industrial worker? Whether we’re talking protection from a 400 lb. 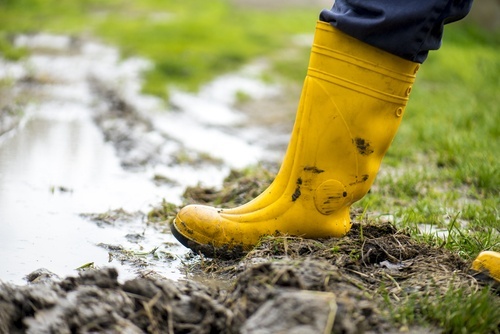 steel beam or a projectile from a rogue nail gun or we need slip-resistant shoes — foot protection should always be on your radar. Unfortunately, this is exactly where many workers try to pinch their pennies. They often settle for work boots that don’t perform well. Quality protective footwear isn’t cheap, but it tends to last longer and stands up to the work you do. It’s an investment that pays dividends over time. Footwear that’s old, worn-out or damaged does absolutely no good either. It can even cause issues with foot and back pain. That’s common sense. What isn’t common knowledge are all the different kinds of protective footwear out there. Do you and your crew understand the many different terms and features of a good work boot or shoe? Wouldn’t it be great if there was a glossary of important terms to know? Well, you’re in luck! Safety Toe: These offer protection against impact and compression hazards. Steel toed footwear is the traditional choice, but composite toe and alloy toe options exist. Curious how they’re all different? Steel Toe: You’re most likely familiar with the steel toe, it’s a traditional staple in most PPE programs. It’s super tough and protects your tiny toes from getting crushed, but they provide poor insulation from extreme heat or cold conditions. Steel toes also tend to cost less than others. Composite Toe: Just as tough as a steel toe, composite safety toes don’t contain metal. So, if you need to go through a metal detector you should be good to go. They also have better electrical resistance if you’re working with electrical applications. Composite toes provide better insulation from temperature fluctuations as well. Alloy Toe: These provide the same levels of impact and crush protection as steel and composite toes, but may weigh less. 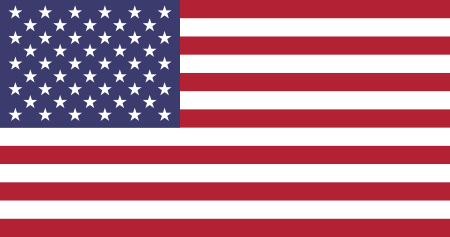 They are often made from metals such as titanium, aluminum or a combination of other light materials. Metatarsal Guard: This is a device built into the shoe or strapped onto the shoe to protect against impact and crushing the top of the foot from heavy falling objects. Metatarsal guards can be made from aluminum, steel, plastic or fiber. Outsole: These are the bottoms of the shoes or boots, and the materials used here are important to know. Rubber outsoles are the most common. 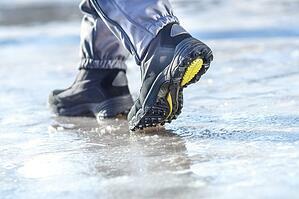 They’re slip-resistant for oily, icy or wet conditions and provide protection from abrasion. 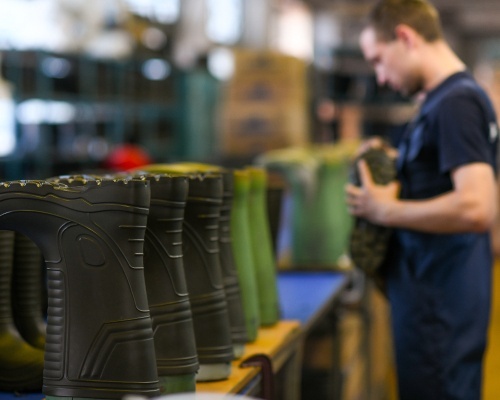 Polyurethane (PU) is the most common polymer used in work boots. It's lightweight, durable, oil-resistant and waterproof. Thermoplastic polyurethane (TPU) outsoles are long-wearing, abrasion, oil and chemical-resistant. Vibram® is a deep, aggressive lug outsole that stands up to rugged terrain. Hard rubber cleats allow you to dig or wedge into rocks, dry dirt or clay. Ethylene vinyl acetate (EVA) is a synthetic compound that cushions the foot and conforms with heat and pressure. Puncture-Resistant: If you work with any materials that have the potential to pierce or stab through your shoes to your skin, you’ll want a puncture-resistant shoe. Sometimes the puncture-resistant quality comes from above like a steel toe or metatarsal guard. Sometimes the protective quality comes from below, in the sole of the shoe, to protect against things like rusty nails and shards of glass. 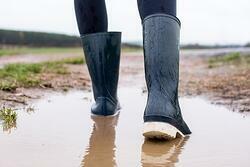 Slip-Resistant: In oily, wet or icy conditions, slip-resistant footwear helps workers maintain footing. How? They address the varying coefficients of friction between the floor and the slippery stuff. Coefficient of Friction is the shoe’s ability to resist lateral movement when in contact with a slippery substrate. In other words, keeps you from slipping all over the place. EH Versus ESD: Often confused with the other, these features are very different. Electrical Hazard (EH) reduces dangers of contact with live electrical circuits. They offer protection from electric shock, can’t be used near explosives and must be able to withstand 18,000 volts at 60 Hz for an entire minute. And, they must be kept dry. Electrostatic Dissipating (ESD) minimizes buildup of electro-static charges and provides protection from spark ignition of flammable materials. They conduct electricity through the insole, linings and outsole and into the ground. Two important things to note: They require humidity to work, so no foot powders can be used. And, you can only use special ESD insole replacements. Bonus: Do you know what a conductive boot is? These are used in highly flammable and explosive work zones. They reduce the chance of static spark or discharge and can’t be worn in EH environments. Direct Attach Construction: Direct-attach method fuses the sole of the shoe to the fibers of the upper. The result? A watertight bond that makes for a more flexible and lightweight shoe. The downside? These usually can’t be resoled. Goodyear Welt Construction: The upper is drawn over a 3D model of a foot and held while a strip of leather (Welt) is stitched to the upper and inner sole. Sole is hind-stitched through Welt. The benefit? Longer lasting shoe due to multiple sole replacements. Cement Construction: This form of construction uses glue to hold together. So, it’s lightweight and flexible — but soles can’t be replaced. Injection Molded Construction: Usually used in mass production, this method of construction injects melted PVC into a sole mold. Silicone: Silicone is used to waterproof shoes. Kind of important when working in cold, wet conditions. DuraShock™ Construction: This uses compression pads placed in the heel and forefront of the outsole. They compress and dissipate forces before they get to your feet and legs. Cambrella®: Synthetic material that helps to wick away moisture, keeps feet dry and provides warmth. Shank: This is a piece of metal inserted between the sole and the insole and lays against the arch of the foot. It helps to diminish the load on the wearer’s feet and calves and provide arch support. Dri-lex®: The perfect combination of moisture-absorbing hydrophilic and moisture-resistant hydrophobic materials knitted together. Why? This technology transports moisture away from your skin, so it stays cool and dry. Here’s another cool fact, Dri-lex® is often used in cowboy hats. DRY Z®: Coworkers, friends and family love this feature. DRYZ® is technology that manages moisture next to skin and inhibits growth of odor-causing bacteria. Gore-Tex®: This fabric features patented technology that's windproof, waterproof and breathable. Unless, you’re a cobbler or some shoe expert, some of these terms may be unfamiliar. They’re especially unfamiliar to young and inexperienced workers who don’t have a clue what type of “safety-toe” they need when they leave new employee orientation. The fact is, the wrong work boot can be more dangerous than not wearing one at all. That’s why it’s so important that safety directors take the time to explain all the cool safety features a worker’s boot should offer. 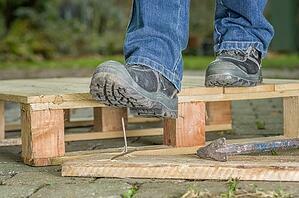 If tested, all safety-toed shoes can withstand up to 75 pounds of falling pressure. That means should something fall on your foot, chances are you’ll still have all 10 toes. Not only should you be concerned about the crushing weight of a fallen piece of equipment, there are other risks to consider. Foot injuries come in all shapes and sizes, from punctures, lacerations, sprains, burns, electric shock, hypothermia and more. That’s why choosing shoes that offer the right protection and support is more than just picking a steel toe. Depending on the work you do, having the right safety shoe may not be optional. Our good friends over at OSHA and the Department of Labor may have some pretty stiff requirements for you. They’re not trying to make it complicated. They’re trying to save lives because workplace accidents happen. You better make sure you’re protected when they do. Another side note: Employers can send workers home if they aren’t wearing approved foot protection like a protective toe. Not sure about you, but being forced to take a day off doesn’t sounds like a good time. What’s more, if you get injured and you aren’t wearing the required shoe, employers may not be responsible for your medical bills! Industrial workers are on their feet all day long. Whether the work is construction, automotive, oil and gas, electric utilities, farming or any of the other countless skilled trades — the work is tough and exhausting. It only makes sense that we give our feet the same attention to comfort and performance that we do all other safety equipment. Protective footwear that is specially designed to be ergonomic, lightweight and keep your feet dry and comfortable are just a few ways to give your tootsies the love they deserve. Changing insoles is one easy way to do that — workers can find relief from the correct insole system or the right outsole! 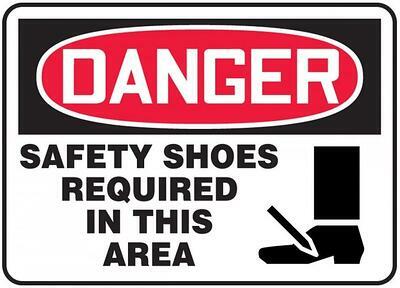 Special note for employers: Workers experience less fatigue and less distraction when wearing the right shoes. That equals increased production and a safer workplace. Win/Win! There you have it. A quick little cheat sheet of common terms you should know the next time you’re in the market for a work boot or shoe. You’re on your feet all day long. Treat them right with footwear specially designed to keep you safe and comfortable. If you ever need a little extra help figuring out what work boot is right for you, check out our handy Boots Reference Guide. Or speak to one of our knowledgeable boots specialists by clicking here.